When you submit your nonfiction book manuscript to Stonebrook Publishing, we will carefully evaluate it to determine its editing needs. If we determine that the manuscript is market-ready, you'll jump right into The Complete Publishing Package. But most of the manuscripts we receive need some editing help first. 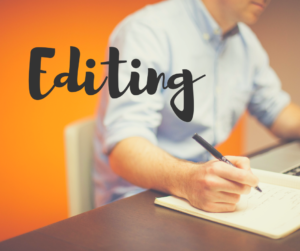 We'll let you know what we think and will recommend one of two types of editing to get your manuscript ready for publication. We’re different from other editors. By the time you submit your manuscript, we know that you’ve had enough of it. You’re done! So we don’t annoy you with making suggestions about how you should incorporate different word choices or sentence structure and suggest you make those changes; we make those changes for you, always in compliance with the Chicago Manual of Style.